Rather than wake up to clogged toilet pipes, use the Professor's Microbial Maintenance powder on a regular basis to help digest organic matter and keep your plumbing clean flowing. 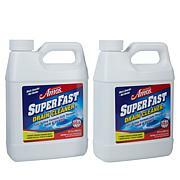 It helps keep your pipes and septic system odor-free and helps keep you worry-free. We live in a 50 y.o. High Rise. Our Toilets use to back up at least once a week.. Well, THANKS TO FAST MM (every other week), NOT ANYMORE!! It is worth EVERY PENNY not have to even touch the Plunger! What a DIFFERENCE this product has made in our lives! 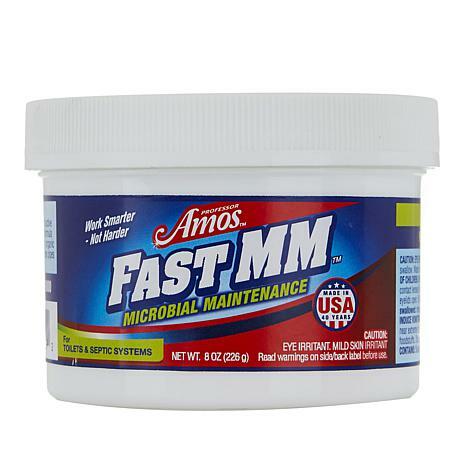 We did NOT make ANY other changes, we simply began using FAST MM regularly. It's like having a Brand New Toilet! 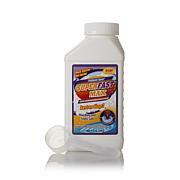 In our home, FAST MM is an ABSOLUTE NECESSITY! Thank you, Professor Amos & HSN!! 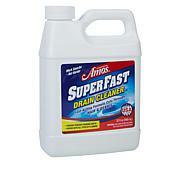 After spending $1,500.00 to unclog our outside drains, & then in a month having trouble again, I said,' what the Heck I'll try professor Amos /MM powder.' And am i glad we did. Avoided calling the plummer again. Now the first of every month in it goes, leave it set in the drain lines all night, & Cha-Ching saved another plumming bill. Thanks Professor Amos , this is a Great Product. Best product ever. I have no problems with by toilet when use this on a regular basis.